Big grown up news everyone.... I am moving to Chicago! That's right, I'm finally taking the plunge into adulthood and moving to downtown Chicago. In case you are curious, I am moving to the Logan Square neighborhood on the edge of Bucktown. I am familiar with this area because my brother has lived in this neighborhood for about a year now. It has some great local spots, but isn't as popular as a Lake View or Lincoln Park which makes the rent a lot more affordable. Plus, I can hop on the L and get to really any neighborhood I want to visit easy. I can't wait to take in the city and explore more then I have ever been able to before. Prior to moving to the city a trip downtown had to be a well thought out trip. We had to factor in traffic, parking costs, how long we wanted to be there. If we wanted to take the train we had time constraints and had to make sure we made it to the train on time. But, now we can go eat dinner practically anywhere and take an uber or the L home! I've always wanted to live in the city. If you ask any of my friends this has been a dream of mine for a while. I am a city girl, I thrive in being in that kind of environment. Plus my commute to work downtown will be so much easier, thank goodness. Any who, gear up to see a lot of apartment posts! If you know anything about me you know I loooooove decorating. Living in my own apartment senior year was amazing because I got to decorate it just how I wanted it. Now, my space will be much bigger so I can't wait to get in and start creating a cool space. But, I am living with my boyfriend and brother so the space won't be as girly as my past apartments *sigh*. None the less I am still really excited to decorate a new space. For today's post I wanted to share some inspiration I've compiled for Jeremy and I's bedroom space. AKA I pitched to Jeremy what I want the bedroom to look like. I really want something classic and simple for the bedroom. 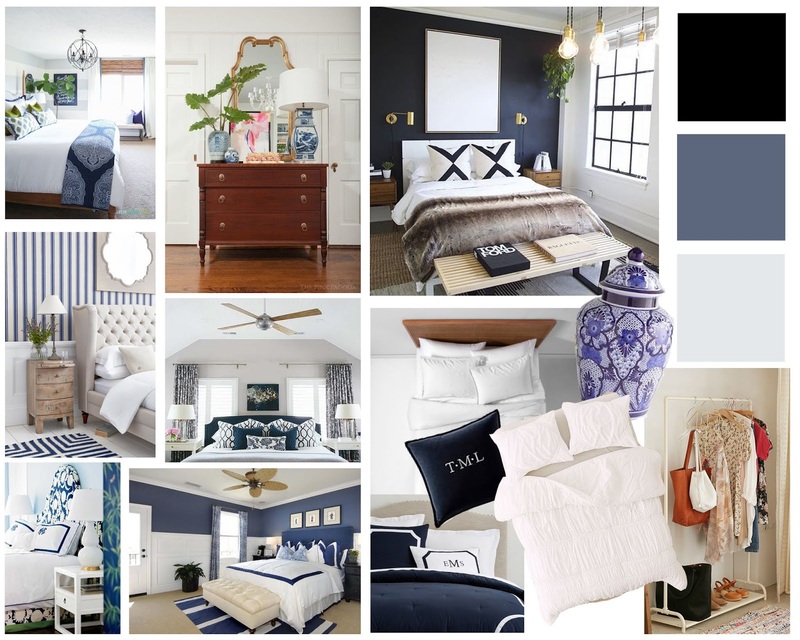 A navy and white reversible comforter from Pottery Barn is calling my name. 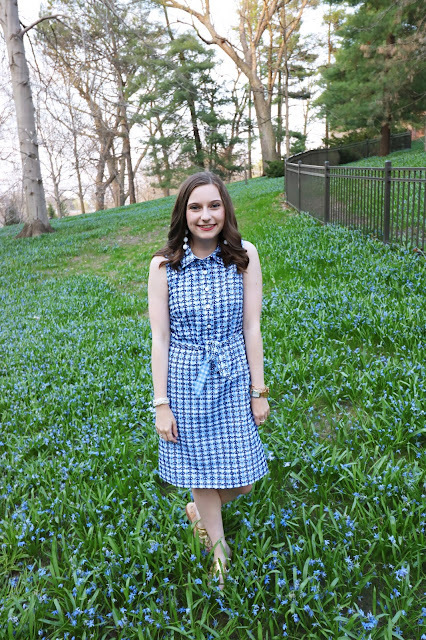 It's great because it can either be white or navy plus you can add a monogram! For the rest of the space I want to mix my traditional style with Jeremy's more modern style with sleek touches but girly accents. I for sure will need an additional wardrobe and or clothing rack for the room. Jeremy and I both appreciate clothes and have a lot of them. So, extra storage is a must. We most likely will be building our own fabric headboard to match the rest of the space as it comes together. Then I'd love to tie everything together with a floor rug under the bed. Do you have any tips for decorating small spaces? Leave them in the comments so we can all learn from ya! Yay! So exciting that you're moving into the city! !